ROCKVILLE, Md., October 4, 2018	(Newswire.com) - Lisa Kazor, CEO and President of Savantage Solutions, announced today that Savantage has achieved the International Organization for Standardization (ISO) 9001:2015 Quality Management System (QMS) certification. ISO 9001:2015 standard is based on several quality management principles including a strong customer focus, the motivation, and implication of top management, the process approach, and continual improvement. Using ISO 9001:2015 helps ensure that customers get consistent, good quality products and services, which in turn brings many business benefits. ISO is an independent, non-governmental international organization with a membership of 162 national standards bodies, and it is considered the world's largest developer of voluntary International Standards. To receive the ISO 9001:2015 certification, an organization must meet the ISO 9001:2015 requirements for a quality management system, to demonstrate its ability to consistently provide products and services that meet customer and applicable statutory and regulatory requirements, and aims to enhance customer satisfaction through the effective application of the system, including processes for improvement of the system and the assurance of conformity to customer and applicable statutory and regulatory requirements. Previously, Savantage has been an ISO 9001:2008 certified organization since 2013. The ISO 9001:2015 standards are more extensive and focus more on the organization's ability to perform at a consistent level of quality. 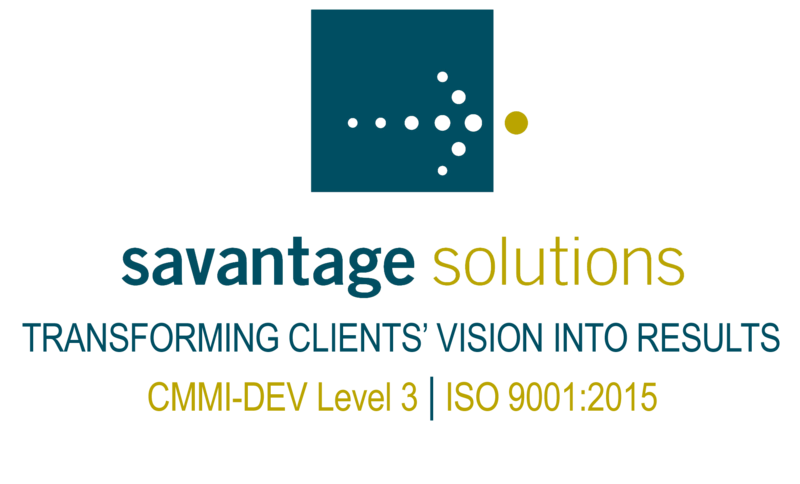 Additionally, Savantage has achieved and maintained its Capability Maturity Model Integration (CMMI®) for Development (CMMI-DEV) Level 3 Maturity Rating as a software development organization since 2011. "This achievement further demonstrates Savantage's consistent and ongoing commitment to delivering the highest quality solutions and services to our Federal customers," said Ms. Kazor.